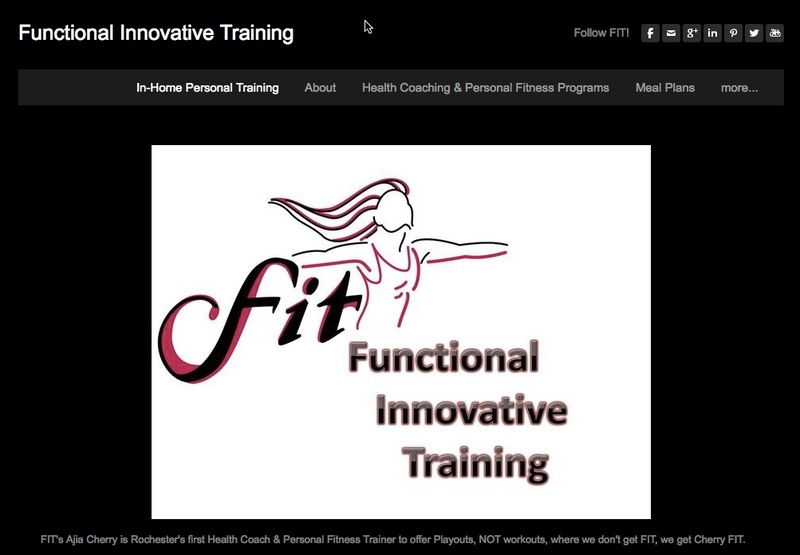 Functional Innovative Training Founder and Personal Trainer, Ajia Cherry, is certified and insured. Ajia is certified through the accredited organization; ACE – American Council on Exercise. Ajia is trained in specific areas including Health Coaching, Personal Fitness Training, Orthopedic Exercise, and Senior Fitness Exercise. In additional to working with clients in their homes & offices, Ajia routinely travels the city delivering evidence based education and wellness program solutions to corporations and health professionals. Ajia: I use the term ‘Playout’ instead of ‘Workout’ because exercise IS fun. If it’s not fun, you’re not doing something right. There is no unwritten rule that says that at midnight of your 18th birthday you must stop playing and start working. As responsible adults we work, then we come home and we work more – caring for family and our homes, dishes, laundry… you get the idea… Make exercise your playtime, your recess. Make it time where you can take a moment or two and enjoy movement. Laugh. Play. Sweat. TrainingTips.com: Can you share an example of how you work to empower others to live their most FIT lives by maintaining their independence no matter what debilitating condition or disease? Ajia: Time and time again I have clients come to me after being told to ‘learn to live’ with a debilitating condition or disease. It maddens me. If there isn’t an immediate health risk, no one should ever be given a limitation. One of my 1st clients came to me with the goal of being able to walk around her block with her children. She was 30 years old and diagnosed with Fibromyalgia. Over the last 4 years we went from 15 minute stretch sessions to her jogging 5ks with me. Does she still have bad days? Yes. Does she live with limitations? Absolutely Not. TrainingTips.com: What advice would you give to someone who is recovering from an injury but still wants to maintain a base level of fitness? Ajia: Communicate with your Doctor(s.) Don’t be afraid to ask questions. If you aren’t satisfied with the answers you are getting, get a second opinion. Go to Physical Therapy. When you ‘graduate’ Physical Therapy, find an Orthopedic Exercise Specialist that is certified by an NCAA accredited certifying agency like ACE. There is always an exercise program that can be tailored to you. If you have a broken hand, you can still go for a walk and you can still do other exercises, etc. TrainingTips.com: Almost every weekend between March & November you’re competing in an equestrian competition. How do you feel that horseback riding has complemented or enhanced your idea and approach to fitness? Ajia: As an equestrian, you are only half of the equation. You’re partnered with this magnificent animal whose very nature is to be fast and strong. 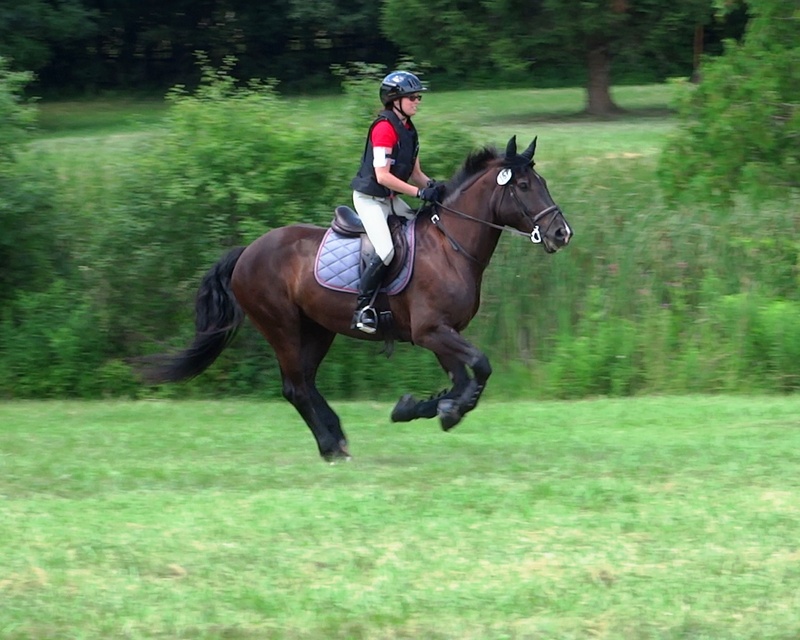 You spend a copious amount of money and time enhancing your horse’s fitness and training level to ensure that he can finish an event strong and without injury. It just makes sense that you would want the same for yourself. The last thing I want to do is spend a couple hundred dollars on an entry fee and then have to pull out because I’m out of breath due to poor cardio conditioning or weak due to poor muscle conditioning. I feel like it would be letting my horse down. TrainingTips.com: What inspired you to decide to launch a series of exercise photos and videos? What have you most enjoyed about the process so far? Ajia: I see myself as a face in the future of fitness. I wanted to start creating a go to source for people that need credible demonstrations to follow so that they do not hurt themselves, and in essence, turn themselves off of the idea of exercise. Honestly, the best part about the process is at the end of a photo shoot, I suddenly realize I’ve completed an entire workout! TrainingTips.com: What advice would you give to someone who wants to increase their physical activity but is low on both time and money? Ajia: Everyone has 15 Minutes. Use your environment. Walk instead of drive. Park further away. Take your family and go for a walk; a great opportunity to pull everyone away from their cell phones and talk to each other. There are body weight exercises that you can do to hit every major muscle group. Follow a Personal Fitness Trainer that is certified by an NCAA accredited certifying agency like ACE on social media. We are always posting free exercise and health tips. Ajia (Asia) Cherry is a cancer survivor, a daughter, a wife, an equestrian and an up and coming successful American Council on Exercise, (ACE,) Certified Health Coach and Personal Fitness trainer. Her certifications, continuing education, and personal experience put her on the cutting edge of the fitness industry. She is recognized by her peers in the health and fitness industry as highly motivated; and with a last name like Cherry, you can't help but remember to eat all your fruits and vegetables! Ajia holds two degrees; one in Computer Science and another in Criminal Justice with a focus on corrections. Her superb ability to train stems from personal experience with overcoming cancer and various equestrian related injuries. She has obtained advanced certifications and specializations such as an Orthopedic Exercise Specialist and Senior Fitness Specialist with a focus on Pre & Post Natal Exercise. Ajia earned theses certifications though ACE. She is also IDEA Fitness Personal Trainer recognized. 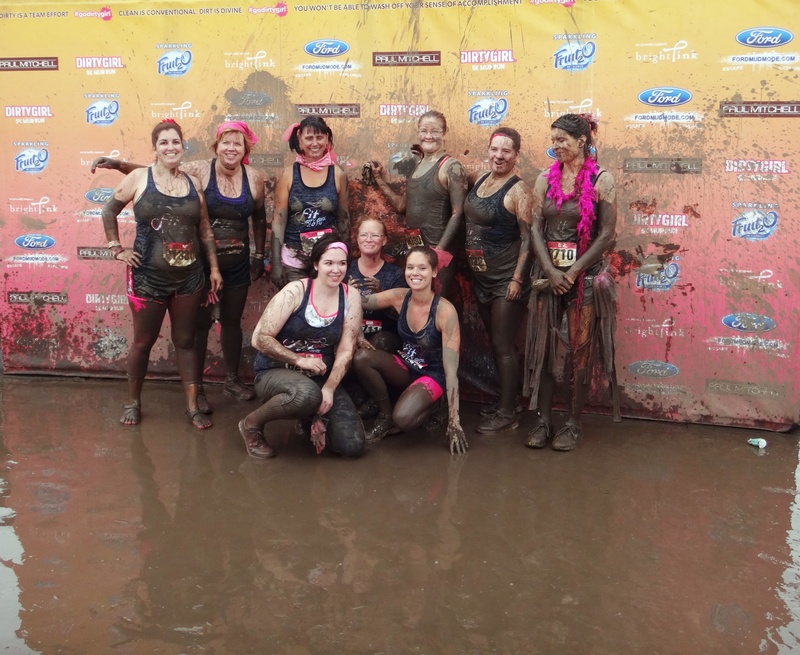 Ajia also contributes content and teaches as a fitness trainer for both Goshorn Chiropractic Wellness Center's Tough Mudder Team and ROC City Wellness. Her certifications, education, and personal experience provide the platform for her ongoing quest to improve the life of one individual at a time. Whether she is working with CEO's, Professional Equestrian Athletes, or the person looking to transition to an independent lifestyle, Ajia's passion is to educate, inspire and motivate, and train others to achieve their most FIT lives ever by maintaining their fitness goals. As the founder of Functional Innovative Training, or affectionately known as FIT, she thrives on using her knowledge and skills when training clients and professional equestrian athletes and when designing small group training classes both at local parks and ROC City Wellness. FIT's Ajia Cherry is Rochester's first Health Coach & Personal Fitness Trainer to offer Playouts, NOT workouts, where we don't get FIT, we get Cherry FIT.